GSMArena team, 10 January 2019. 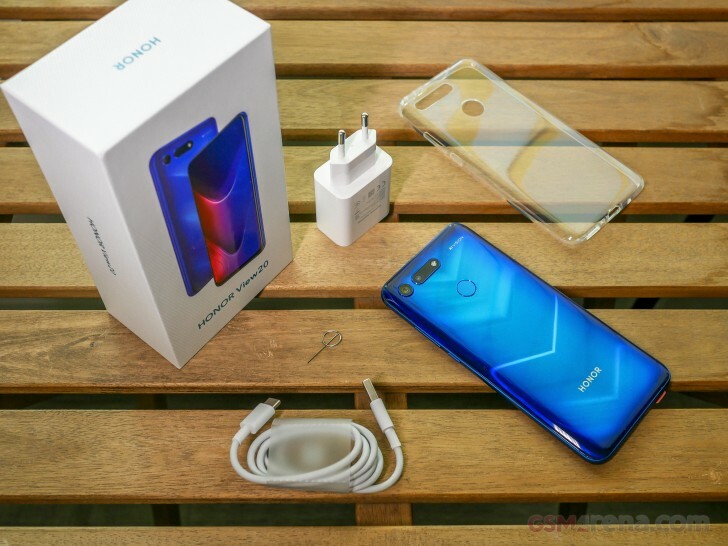 The Honor View 20 is a long-anticipated smartphone that was released last month. At CES 2019 we finally got our chance to give it a more in-depth look. We had some private time with the View 20 for its launch last month, but we can now tell a bit more about the device and what makes it stand out. The hardware used here is nothing short of premium while staying on track with the latest design trends. In fact, we can say it's a trend-setter to some extent with its awesome V-shape gradient finish and a punch-hole selfie camera. And as expected, Honor didn't go overboard with the price tag as well. The company is asking just around $435 for the base version in China, which is a steal considering that it runs on Huawei's latest and greatest Kirin 980 SoC paired with either 6 or 8GB of RAM and up to 256GB of internal storage. 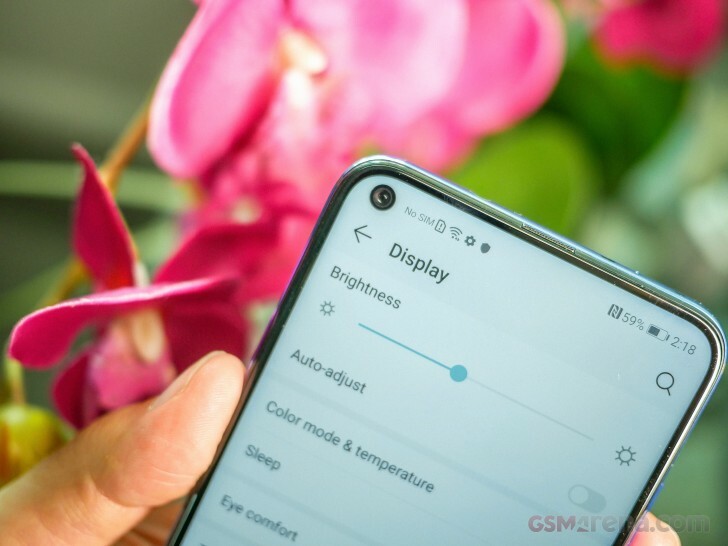 The display isn't too shabby either - we got 6.4" diagonal fitting 1080 x 2310 pixels resolution and achieving just above 85% screen-to-body ratio according to our database. It's needless to say that this is without a notch. Still, it's an IPS LCD panel, but we can't get too picky considering the price point. The extra tall 19.25:9 aspect ratio may prove to be a challenge for single-handed use especially when you consider the large diagonal. One of the key selling points, however, remains the rear sharpshooter boasting 48MP resolution. It's aided by a 3D ToF sensor. The latter is essentially a depth sensor with some added functionality. And as for the front camera, it's 25MP and Honor is quite proud of the refined manufacturing process which doesn't involve drilling in the screen itself. An advanced lithography process has been used to create a transparent hole for the camera sensor so enough light can pass through. Engineers also made sure that none of the light from the screen comes inside the cavity and interferes with the photo taking. The result - only the LGP (Light Guide Plate) had to be cut to insert the camera sensor while the rest of the layers remain intact. Battery capacity doesn't disappoint as well - a 4,000 mAh cell should have you covered for the day and it also supports 22.5W fast charging. Honor promises 55% in 30 minutes but we will test that out once we get this baby in the comfort of our lab. Moreover, Honor View 20 also comes with the company's new Magic UI moving away from Huawei's EMUI software. They look pretty similar for now but we were assured that the Magic UI will take a slightly different path during its development. Honor says its skin will be designed with the younger audience in mind. The box contains all the usual user manuals along with the proper charging brick for fast charging and the USB-A to USB-C cable. There's also a bonus transparent silicone case for extra protection. Join us on the next page as we take a closer look on the phone.